Earn up to 8,800 reward points. Become a rock master with this potent 1x10 combo loaded with everything you need. What else would you need to step in the world of rock than two well-dressed channels of clean and lead tones? 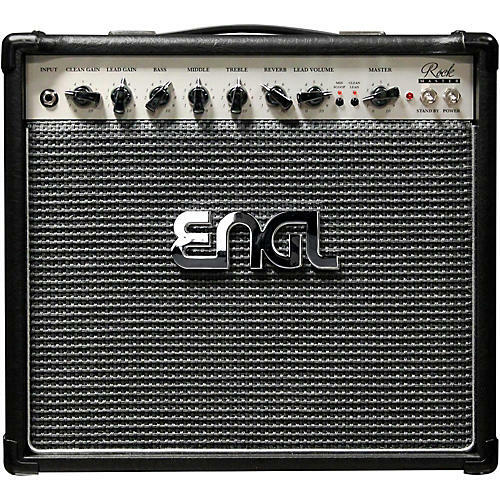 The New Engl RockMaster 20 20W 1x10 combo delivers more. The built-in power soak offers all colors of pure tube excitement and extends the tone range for each channel. It can switch down from 20W to 5W, 1W or speaker mute for direct recording. It can handle warm, compressed clean tones, smooth crunch, fat rhythm and lead- or even fuzz-orientated sounds all in a handy format. The 12AX7 preamp section matches beautifully with the EL84 power amp, and delivers that true tube tone through a single 10 in. Celestion G10N-40 speaker.